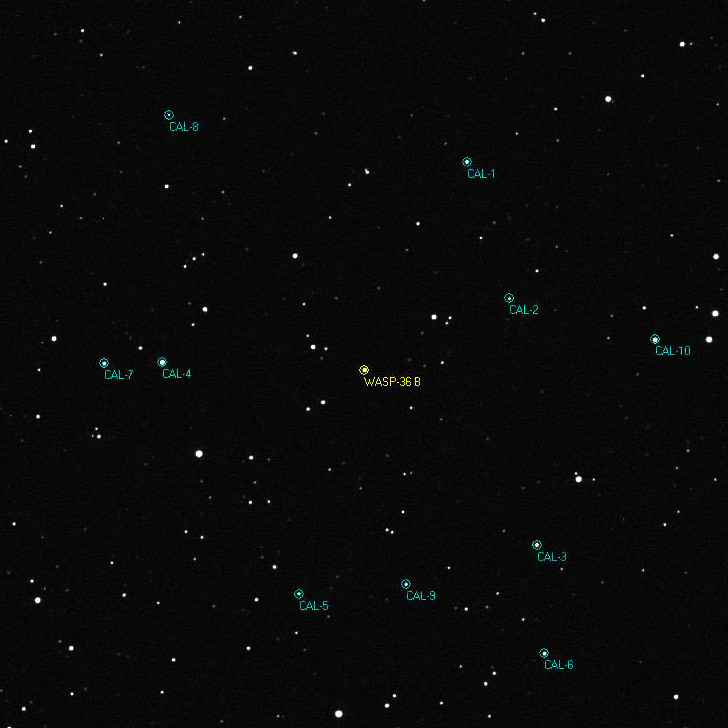 The host star, WASP-36, is a magnitude V = 12.7, metal-poor G2 dwarf (Teff = 5959± 134 K), with [Fe/H] = −0.26±0.10. Тhe planet have mass and radius respectively 2.30±0.07 and 1.28 ± 0.03 times that of Jupiter. One of the striking properties of the WASP-36 is the low stellar metallicity ([Fe/H] = −0.26 ± 0.10). Giant planets are known to be rare around such low-metallicity stars (e.g. Santos et al. 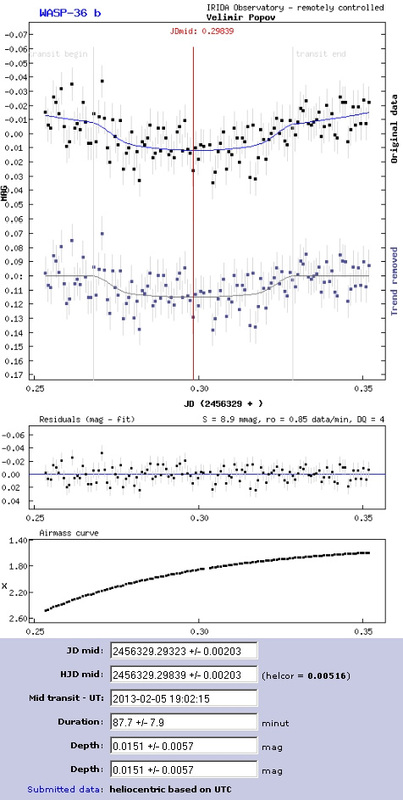 2004b; Fischer & Valenti 2005), although several other low-metallicity systems are known, including the transiting systems WASP-21 ([Fe/H] = −0.46 ± 0.11, Bouchy et al. 2010), WASP-37 ([Fe/H] = −0.40 ± 0.12, Simpson et al. 2011) and HAT-P-12 ([Fe/H] = −0.29 ± 0.05, Hartman et al. 2009). WASP-36b may also play a key role in determining whether stellar metallicity is the key parameter influencing whether or not a hot Jupiter’s atmosphere exhibits a thermal inversion.